After breaking out of the arena during the events of the Quarter Quell, Katniss Everdeen (Jennifer Lawrence) wakes up in District 13; an undercover base inside a previously destroyed district. Surrounded by most of her friends and family, she learns that District 12 has been destroyed and the Capitol have Peeta Mellark (Josh Hutcherson) hostage. Under the guidance of her mentors and the newly deemed President Coin (Julianne Moore), Katniss undertakes a mission to win over the support of the districts and begin to take down the Capitol. The Hunger Games set itself up as the best YA adaptation series since Harry Potter. Both the original and Catching Fire were exceptional; they were powerful, deep and thrilling in equal measure. Most of this came from the source material, Suzanne Collins wrote the first two books fantastically well, but as a book, Mockingjay struggled. The first half was essentially nothing; no substance, no plot advancements and nothing of any real interest. Which is why the decision to cut that book into two films feels entirely down to monetary reasons. Lionsgate don't want this franchise over yet, so they've split what was already a fairly dull book into two films, and this first installment, unfortunately, can't pick up the pieces the book left behind. It's as well acted and visually efficient as its predecessors, but let's face it, did anything actually happen? Lawrence herself is a force to be reckoned with, as ever. She has such a firm hold on Katniss, from her action sequences to her quieter moments (particular her haunting rendition of Collins' original song 'The Hanging Tree'), she is as terrific as we've all come to expect from her. But with such a focus on her this time around, the supporting cast don't have much to work with. Katniss has always been the prime focus of the franchise, but there have consistently been moments for others to shine. Not so much here. It's hardly a big problem, in a film called Mockingjay you sort of expect the Mockingjay to be the central focus, but big characters like Gale, Prim and Haymitch all feel skimmed over. None are given anything of substance, which seems like a worrying set up come the big finale next year. They were written well for the first two films, but the ball was dropped a bit here, and now they don't have much time to bring that back before all hell breaks loose come Part II. Much like the previous installment, the action sequences shine through here, they are as terrifically made as ever before. Despite the lacking of an actual Hunger Games, Mockingjay has just enough to play with to keep us interested throughout and to remain almost as thrilling as its predecessors. A sudden evacuation in District 13 makes for a brilliantly fast paced sequence and goes to prove just how big an effect a countdown can have in film. Whilst it is definitely weaker than the films before it, what Mockingjay does do better than the previous entries is its political subtext. These political themes are what sets this franchise out from other YA adaptations (good or bad), and they're adapted here perfectly. The Hunger Games has received criticism for its pacing in the previous films. For a 146 minute film like Catching Fire to take about 80 minutes to get into the actual games is certainly a risky move, but it paid off. Here, there are no games. And because of this, the film struggles to build to anything besides another film next year. The tension is never really heightened in the final act, it could even be argued that the hospital bombing run in the film's middle half is Mockingjay at its most tense, leaving nothing to come after that can match or better it. The story just isn't advanced anywhere. Sure, there is always something happening and the cast and crew ensure that the film is never dull, but by the time the ending credits roll, you can't help but wonder why we had to see all of that to get there. Besides one development in the final act, this is mostly setup. One big money grabbing set up. 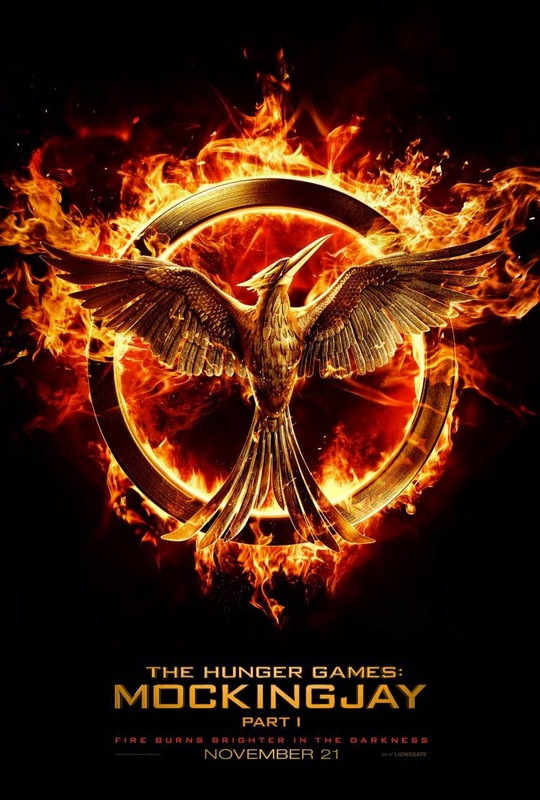 Mockingjay is a disappointingly mixed bag of a film, trapped inside what will likely finish as an incredible franchise. It's difficult to judge this fully; after all it is only half a story, and adapted from a weak book. Normally I actively dislike comparing books to films; they are two entirely different mediums and shouldn't be compared in terms of quality. But anyone can see that Mockingjay as a film is better than Mockingjay as a book. As an adaptation, this is as strong as both other entries in the franchise. But as a film, it is far weaker. There is a gaping lack of plot and the characters aren't as well written as they have been before. But Mockingjay is still consistently entertaining, even if it just feels more like a waiting game than a hunger game. Mockingjay should have been one film, stretched to perhaps a little under three hours. The Hunger Games has the audience and fanbase to draw people to see a three hour film; run time would not affect the box office result of a franchise this big. But, unfortunately, money got in the way, and left us with a fairly middling entry in an otherwise superb franchise. To Summarise: It's as well acted, politically smart and as visually spectacular as ever, but The Hunger Games: Mockingjay Part I's lack of plot or substance can't help but make it feel like the set up it is. Good review. Though I liked it for the most part, I still can't help but feel incredibly disappointed by how abrupt its ending was. Yeah I still enjoyed it, but in comparison to the previous entries it just doesn't live up. Let's hope the ending brings us back to the franchise we know and love!